Hello SMP brides!! 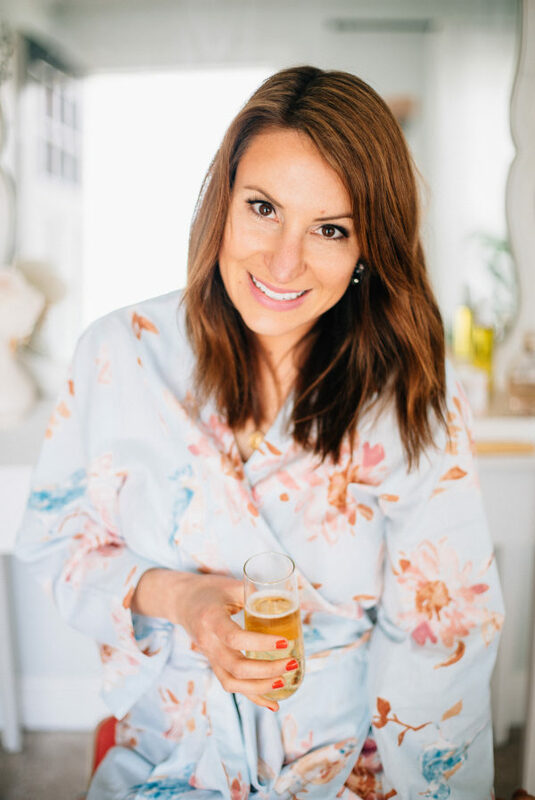 I last shared a post about clean eating before your wedding – and while diet is on most brides minds, beauty likely is too! 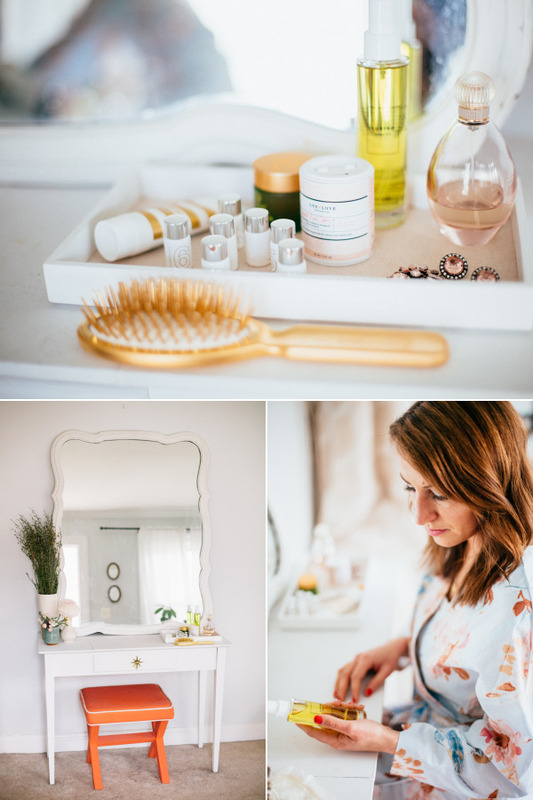 As the Editorial Director for The Glitter Guide I test a lot of beauty products and since I got engaged last December I’ve been stocking up on the products that actually work and will be of help before engagement photos, parties and our big day in September! I’ve also learned a few beauty tricks along the way…. FACE | First up is exfoliation. I didn’t give exfoliating much thought and tried to remember to do it every week or so until I discovered a few amazing products that transform your skin. I do not lie! 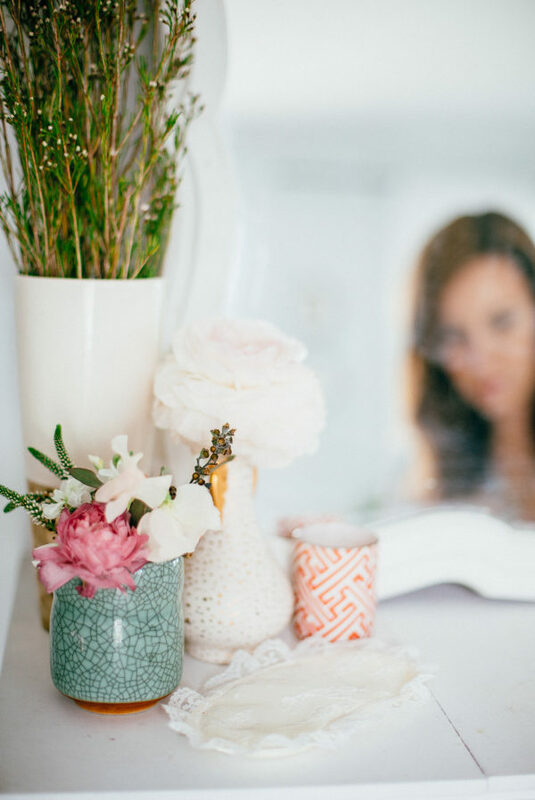 Exfoliation is so critical in keeping your skin bright and clear for your wedding day – try to find a gentle product that doesn’t dry out your skin and use it 2x-3x per week. My favorite is One Love Organics Brand New Day. It’s all natural, very mild and you can mix it with honey or yogurt to create a mask too! Once a month I indulge in a more intense form of exfoliation – an at home peel. BareMinerals 7-Day Skin Detox Brightening Peel has changed my skin drastically and I use it once per month now. I try to coordinate it before I know I’m having my photo taken or being at an event. My dad even commented on how my skin was ‘glowing’ the last time I used it! It’s packaged in adorable vials and comes with cotton applicators that makes applying it a cinch. If you’re scared of the whole at home thing, make an appointment for a gentle peel with a facialist. I’m also a big fan of face masks. Applying one is the perfect way to wrap up a weekend on a Sunday night and when used frequently I notice a difference in my skin. 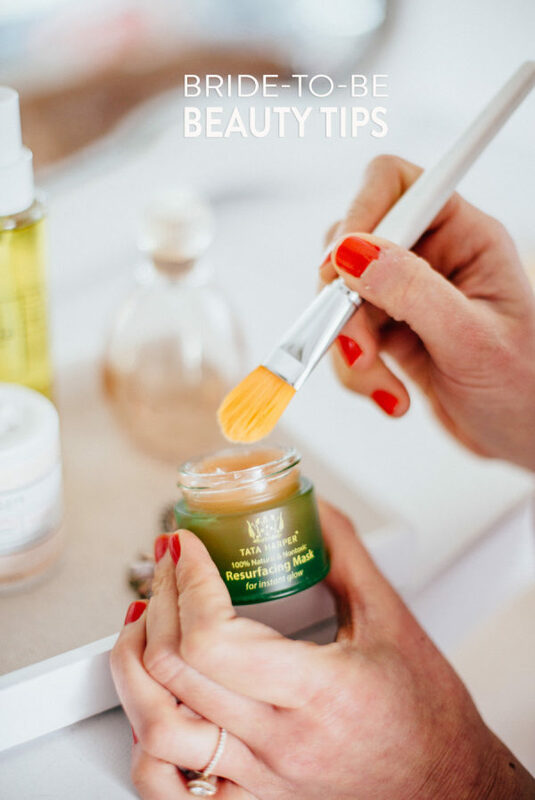 My very favorite is Tata Harper’s Resurfacing Mask – again this product is great before events or photos and does live up to the claims of giving you glowing skin! I also like to use Origins Active Charcoal Mask once a month and use it to spot treat problem areas. First Aid Beauty’s Purifying Red Clay Mask is also a nice option, it’s a gentle peel off mask. EYES | Puffy eyes are always my fear. The night before our engagement party I was up so late preparing I thought I was going to look so exhausted in all my pictures but used my stand-by technique. First I sleep with an eye mask on and try to get 8 hours of shut eye, then as soon as I wake up I place 2 small spoons in the freezer. Place them under your eyes to help with the puffiness. Next up — beat 1 egg white until stiff peaks form. Gently paint the egg whites under your eyes. You’ll be amazed at how this natural trick instantly wakes up your eye area! Gently wash off with warm water after 5 minutes. SMILE | We all want white teeth in our wedding photos, right? I’ve tried a lot of teeth whitening product, I have sensative teeth so some were quite painful. The easiest method for me is using Rembrandt’s Intense Stain Toothpaste - I noticed a difference after a week. Before my wedding shower + engagment photos I’ll also start using Crest White Strips again! GLOW | Finally — having a subtle golden glow in wedding related photos is always my goal! I finally found a product that looks natural, has no odor and is easy to apply! James Read Sleep Mask is a dream – you put it on your face at night and wake up with a natural looking tan. For photos and events try James Read Wash Off Tan For Body . I suggest testing any self tanning product a few days before your big event to be sure you are happy with the outcome!